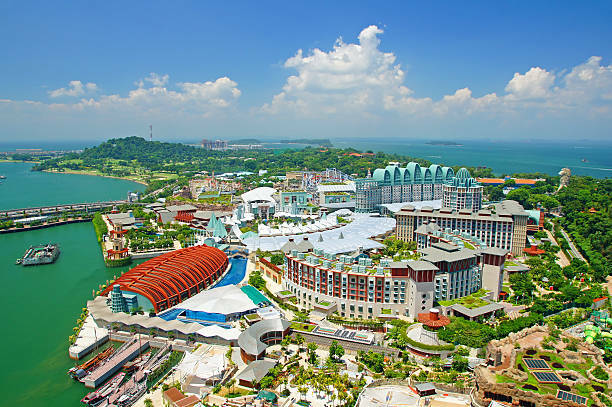 Genting Singapore Ltd has announced that its wholly-owned subsidiary Resorts World at Sentosa Pte. Ltd – the operating entity of Singapore IR Resorts World Sentosa (RWS) – will make a voluntary prepayment of SG$680 million (US$503 million) in outstanding debt. The payment relates to the remainder of its SG$2.27 billion syndicated senior secured credit facilities dated 23 March 2015, with the facilities set to be cancelled on 25 April 2019. In an announcement, Genting Singapore said the loan repayment would be paid from internal cash resources, allowing the group to “improve its capital efficiency.” It will also see the company reduce its borrowings from SG$930 million (US$688 million) to SG$253 million (US$187 million). The loan prepayment follows last week’s announcement that Genting Singapore would invest SG$4.5 billion into RWS, which it aims to complete by 2024. The development will see RWS’s gross floor area expanded by 50%, adding 164,000 square meters of leisure and entertainment space. Among the planned additions are expansion of Universal Studios Singapore, including new themed areas “Minion Park” and “Super Nintendo World”, of S.E.A. Aquarium which will be re-branded “Singapore Oceanarium”, the addition of another 1,100 hotel rooms as part of a new “waterfront lifestyle complex”, an enhanced waterfront promenade with restaurants and retail, expanded MICE facilities and development of a driverless transport system around the property.